New Year should be about what we want to achieve in the New Year, filled with positive thoughts. This means wearing colours that uplift us. 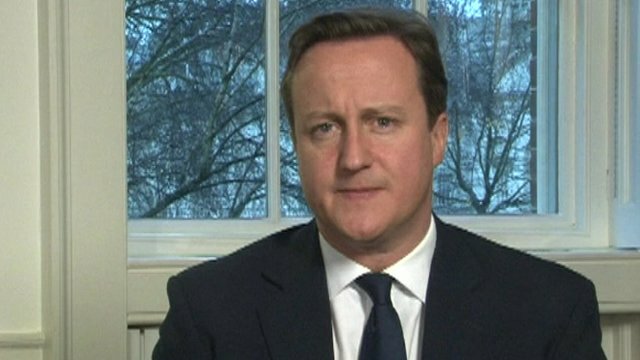 Unfortunately David Cameron was looking very depressing in his dark colours on BBC, not the most inspiring or uplifting. New Year is a new beginning and a chance to think about what we want to positively achieve in the New Year. Wearing colours that uplift us can make a big difference to how well we achieve this. Unfortunately David Cameron’s dark colours on the BBC, made him look rather depressing and neither inspiring nor uplifting for his New Year message. I think he receives advice from PR consultants not image consultants and he seems to have a small selection of plain colour ties. Yellow with navy – this is an uplifting colour, the closest to sunshine. It also stimulates the brain helping you to be decisive, clear-headed and alert. Purple or violet – a colour closely linked to creativity and arousing us into activity. I would suggest he changes his shirt to a light blue or a stripe with green and blue in the evening. Blue is a quiet, calming and relaxing colour, whilst green creates comfort and relaxation. It is surprising how much colour can affect our emotions and influence people. Knowing the correct shades of colour to wear and how to combine them to compliment our skintone can make a great difference to how we look and feel.